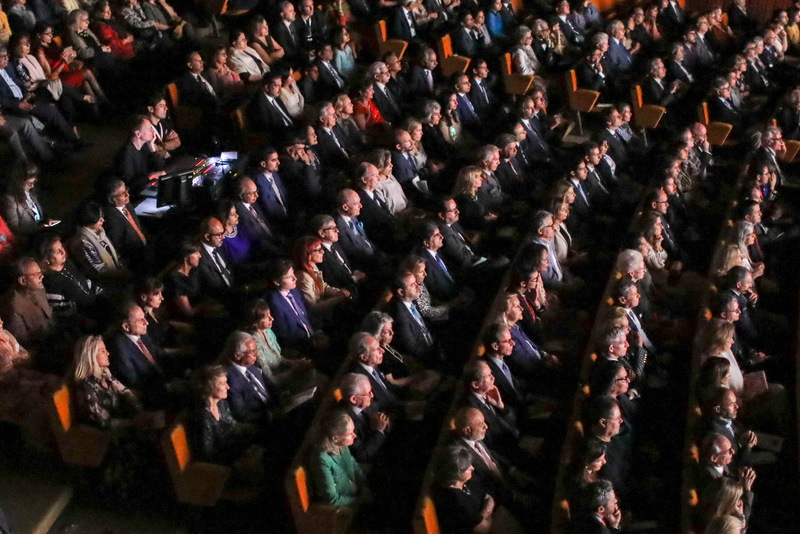 Guests at the inaugural Aga Khan Music Awards gala concert and prize-giving ceremony, including His Highness the Aga Khan and his family. 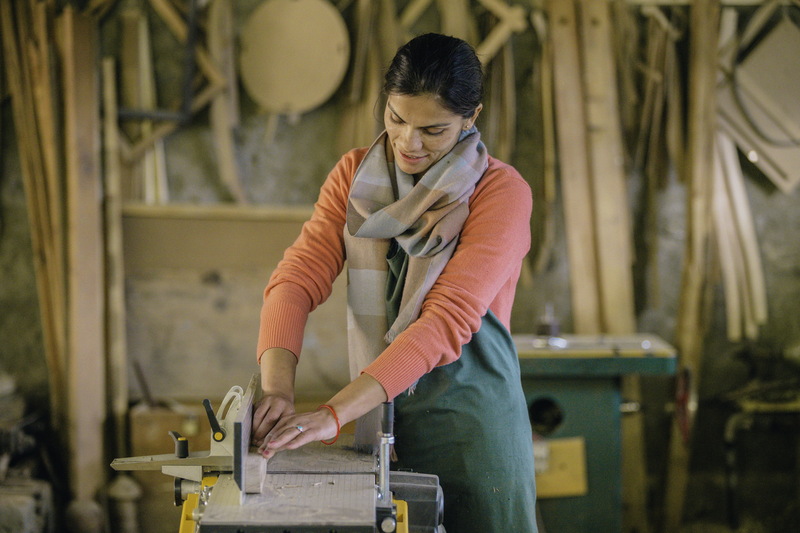 Master of Ceremonies Lopa Kothari welcomes the first performance of the evening. 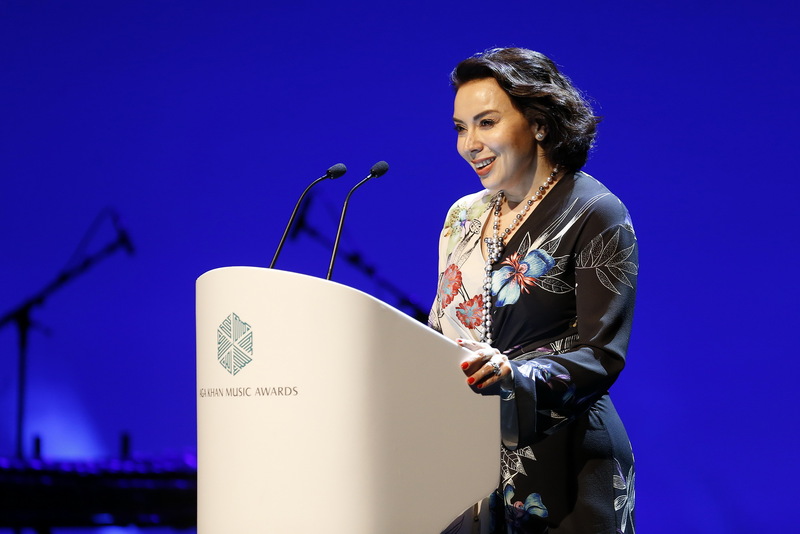 Fairouz Nishanova, Director of the Aga Khan Music Initiative, introduces one of the laureates at the inaugural Aga Khan Music Awards at the Calouste Gulbenkian Foundation. 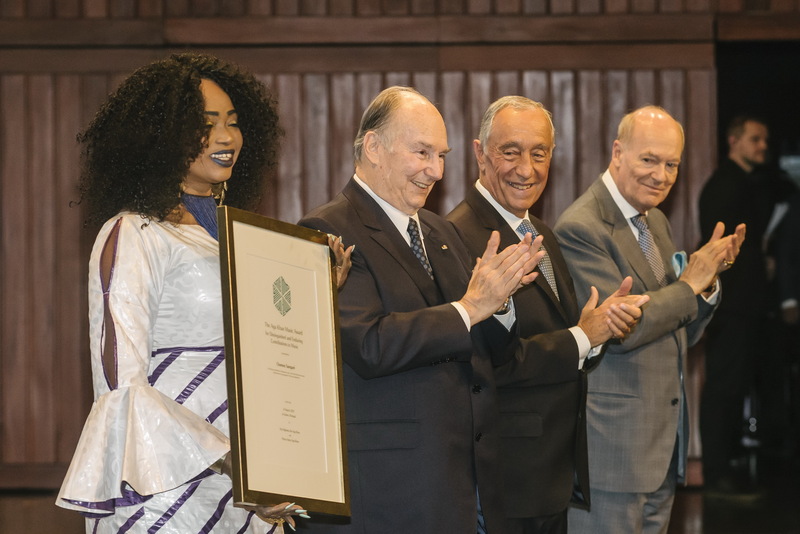 Oumou Sangare laureate in the Distinguished and Enduring Contributions to Music domain, on stage with His Highness the Aga Khan, His Excellency, President of Portugal, Marcelo Rebelo de Sousa, and Prince Amyn Aga Khan. 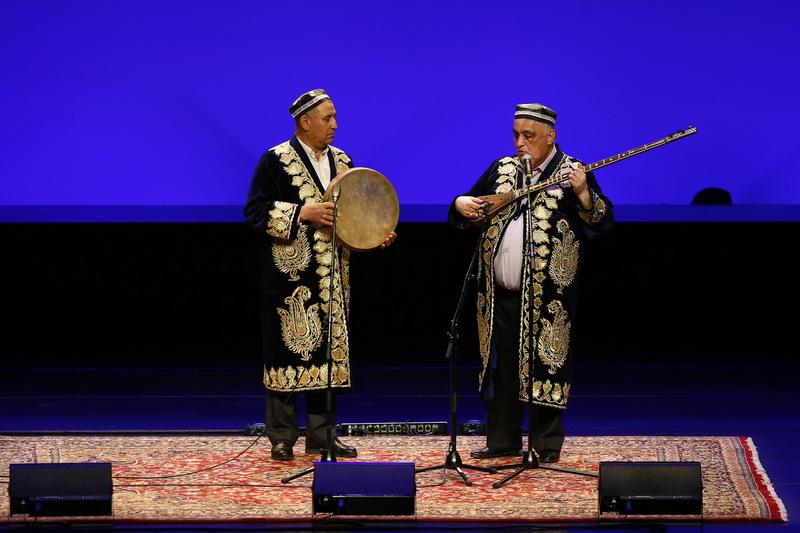 Farhod Halimov, laureate in the Preservation, Revitalisation and Dissemination domain, performing at the gala concert of the Aga Khan Music Awards 2019. 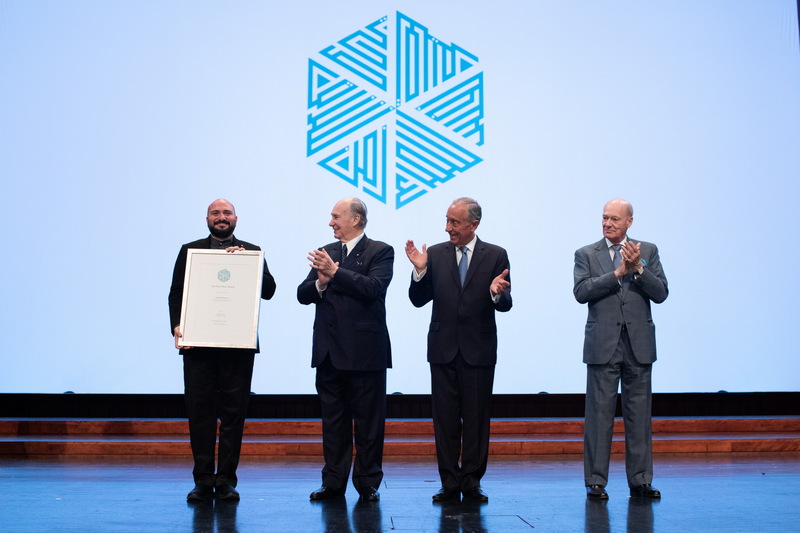 Farhod Halimov, laureate in the Preservation, Revitalisation and Dissemination domain, on stage with His Highness the Aga Khan, His Excellency, President of Portugal, Marcelo Rebelo de Sousa, and Prince Amyn Aga Khan. 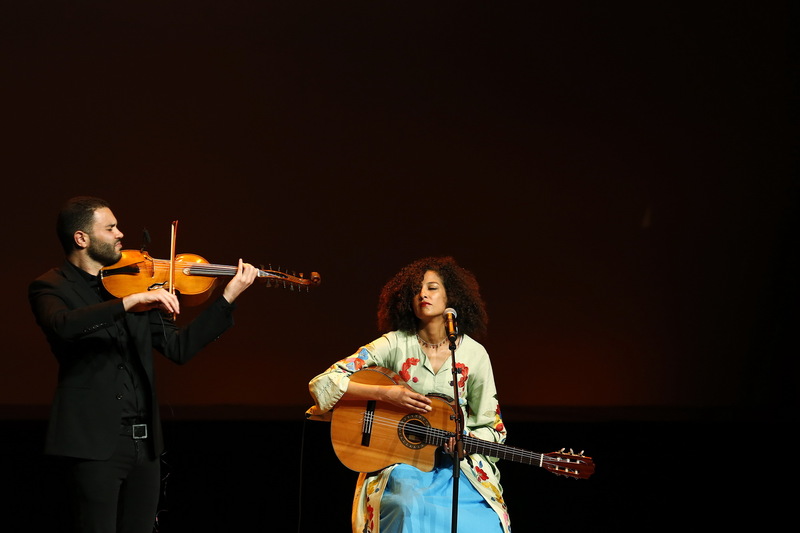 Badiaa Bouhrizi, laureate in the domain of Social Inclusion, performing at the gala concert on 31 March. 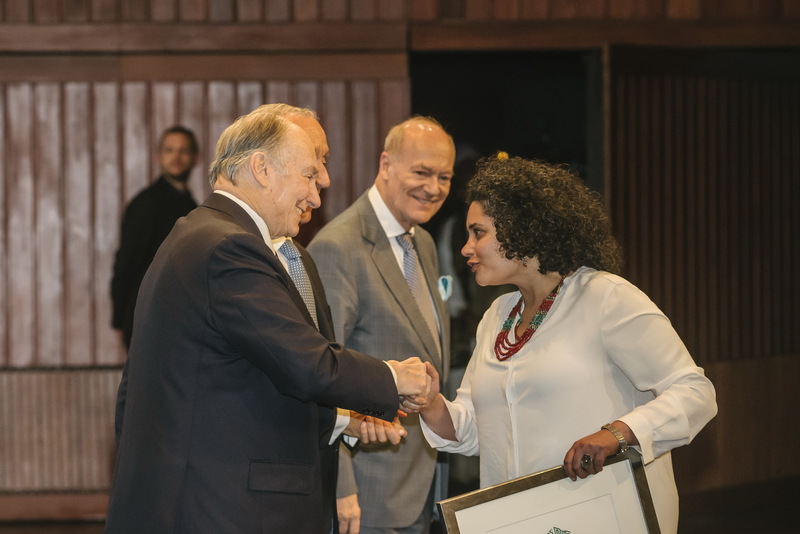 His Highness the Aga Khan congratulating the laureate in the Social Inclusion domain, Badiaa Bouhrizi, along with His Excellency, President of Portugal, Marcelo Rebelo de Sousa, and Prince Amyn Aga Khan. 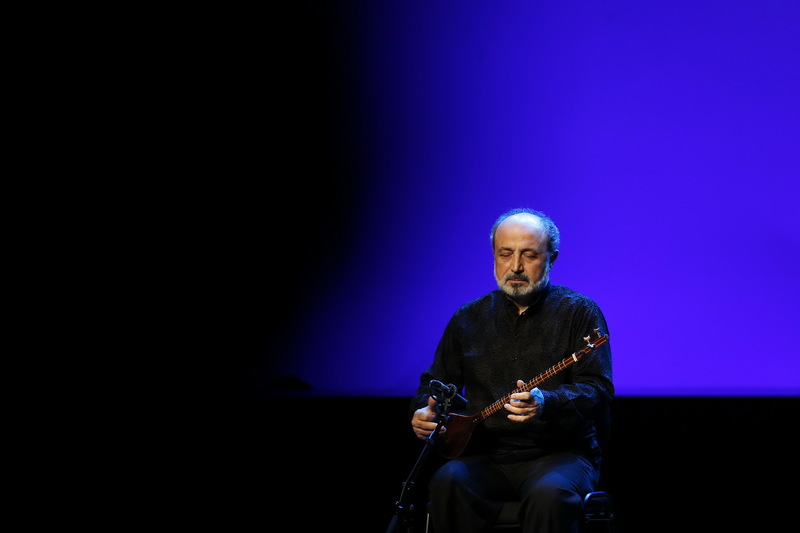 Dariush Talai, laureate in the domain of Distinguished and Enduring Contributions to Music, performs for the guests of the Aga Khan Music Awards. 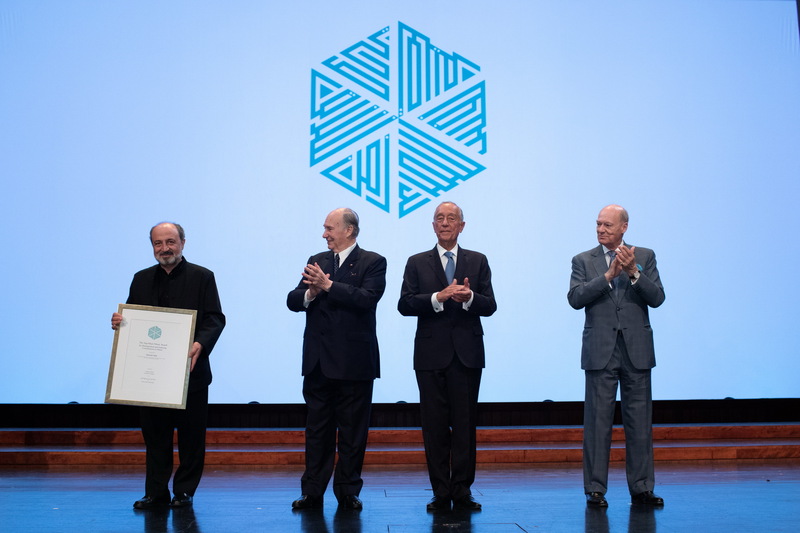 Dariush Talai, laureate in the domain of Distinguished and Enduring Contributions to Music, accepts his prize, with His Highness the Aga Khan, His Excellency, President of Portugal, Marcelo Rebelo de Sousa, and Prince Amyn Aga Khan looking on. 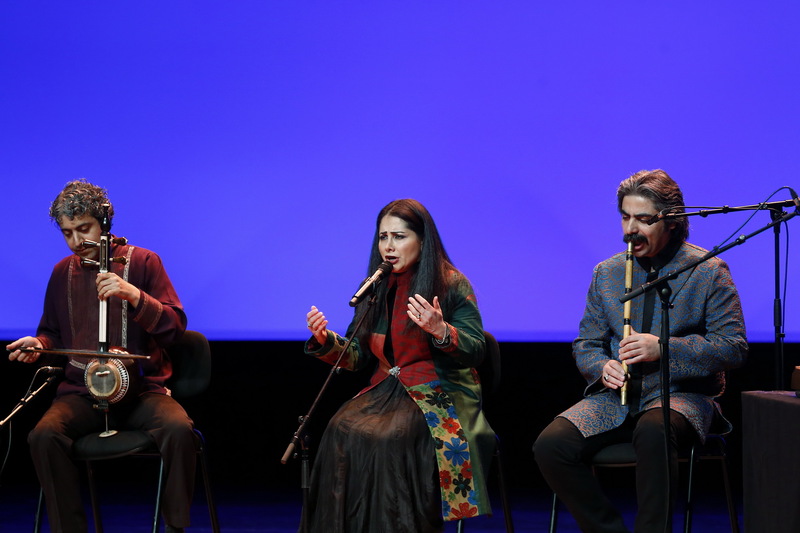 Mohjan Shajarian, daughter of Mohammad Reza Shajarian, recipient of the 2019 Patron’s Award, performs alongside finalists Reza Parvizade and Shahou Andalibi. 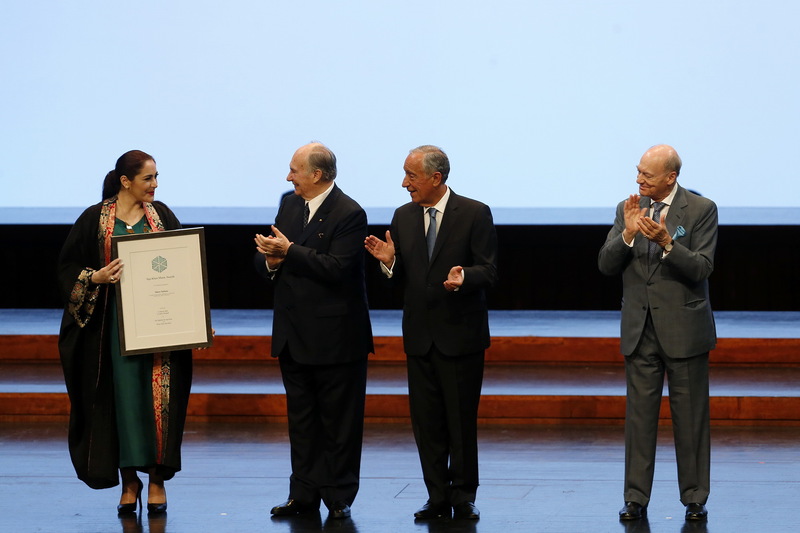 Mohjan Shajarian, daughter of Mohammad Reza Shajarian, accepts her father's Patron's Award on this behalf. 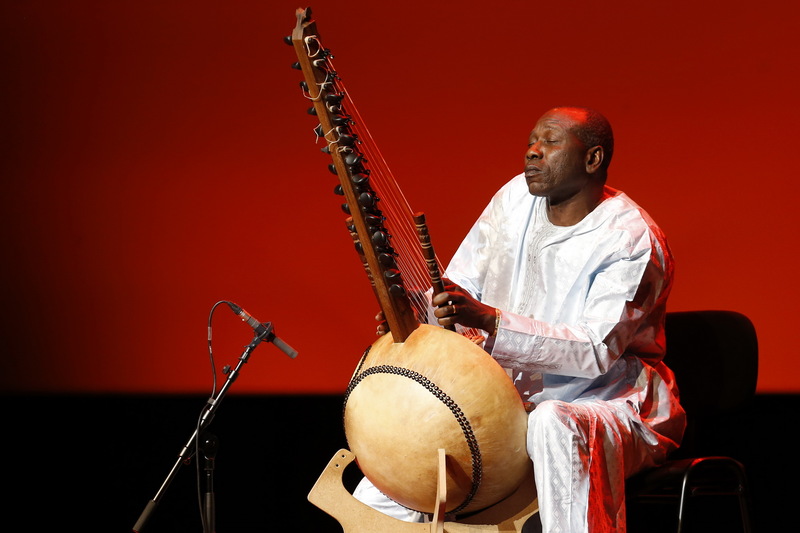 Ballake Sissoko, laureate in the domain of Distinguished and Enduring Contributions to Music, performs for attendees of the Aga Khan Music Awards on 31 March 2019. 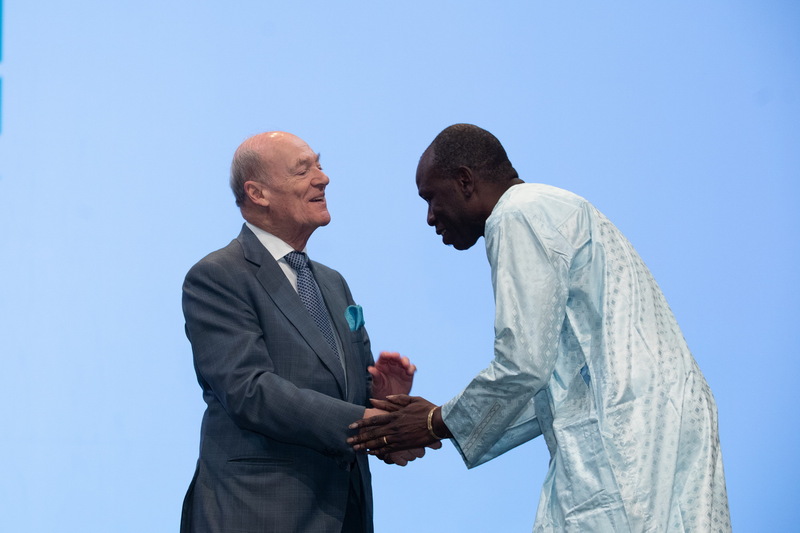 Prince Amyn Aga Khan congratulatesBallake Sissoko on becoming a laureate in the domain of Distinguished and Enduring Contributions to Music. 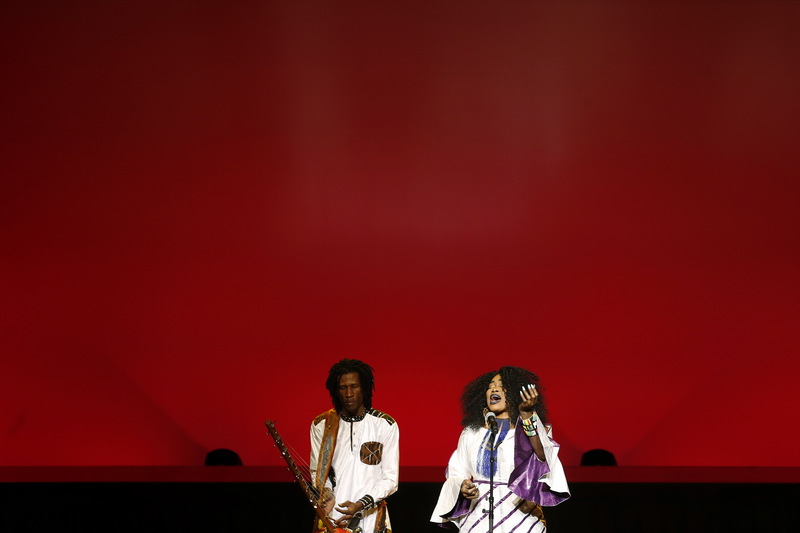 Oumou Sangaré, laureate in the domain of Distinguished and Enduring Contributions to Music, performs for guests of the Aga Khan Music Awards. 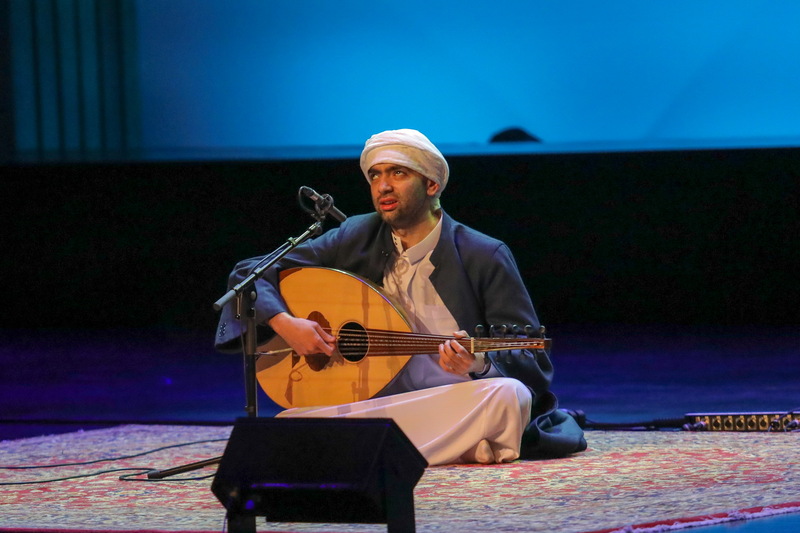 Mustafa Said performing at the gala concert of the Aga Khan Music Awards 2019. 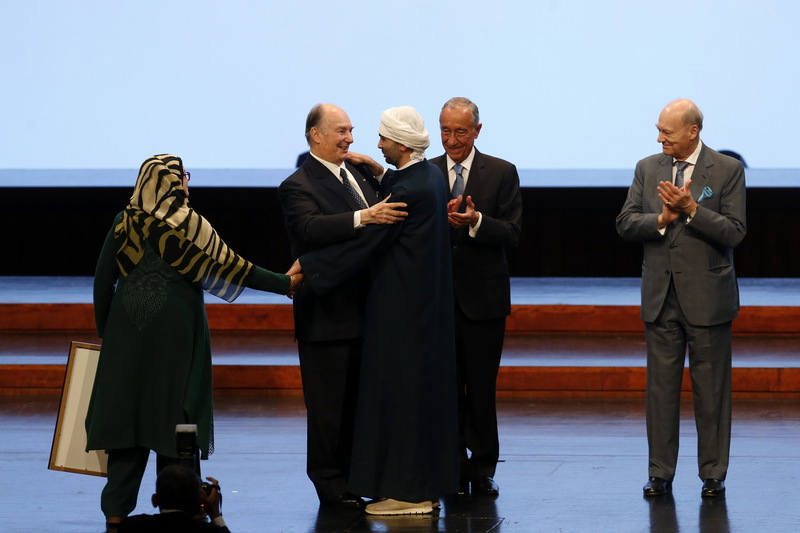 His Highness the Aga Khan congratulating the laureate in the Performance domain, Mustafa Said. 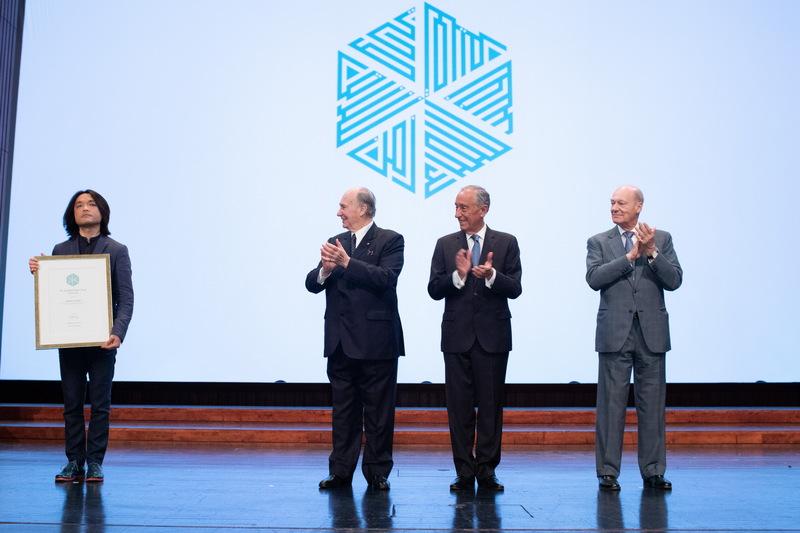 The finalist in the Performance domain, Nai Barghouti, on stage with His Highness the Aga Khan, His Excellency, President of Portugal, Marcelo Rebelo de Sousa, and Prince Amyn Aga Khan. 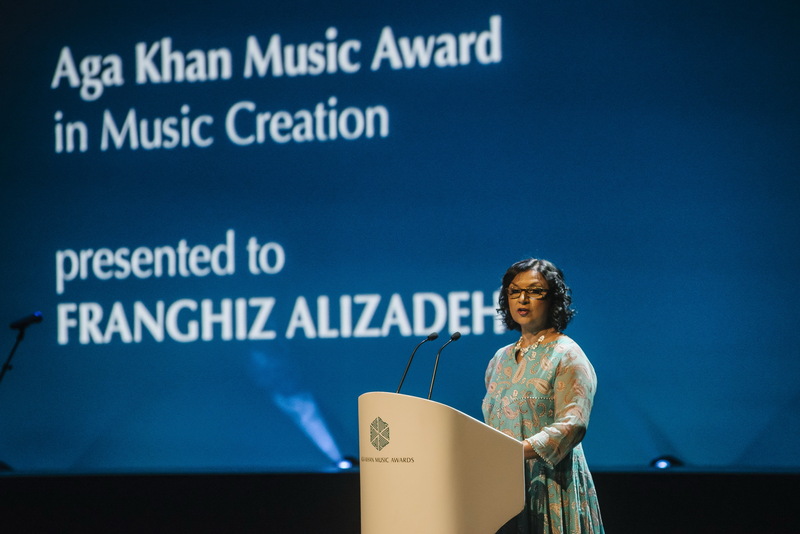 Franghiz AliZadeh performing at the gala concert of the Aga Khan Music Awards 2019. 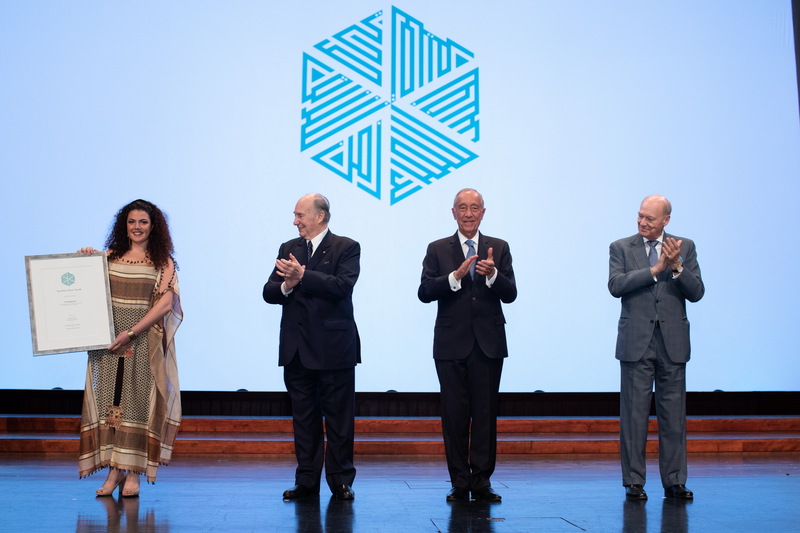 Franghiz AliZadeh, laureate in the Creation domain, on stage with His Highness the Aga Khan, His Excellency, President of Portugal, Marcelo Rebelo de Sousa, and Prince Amyn Aga Khan. 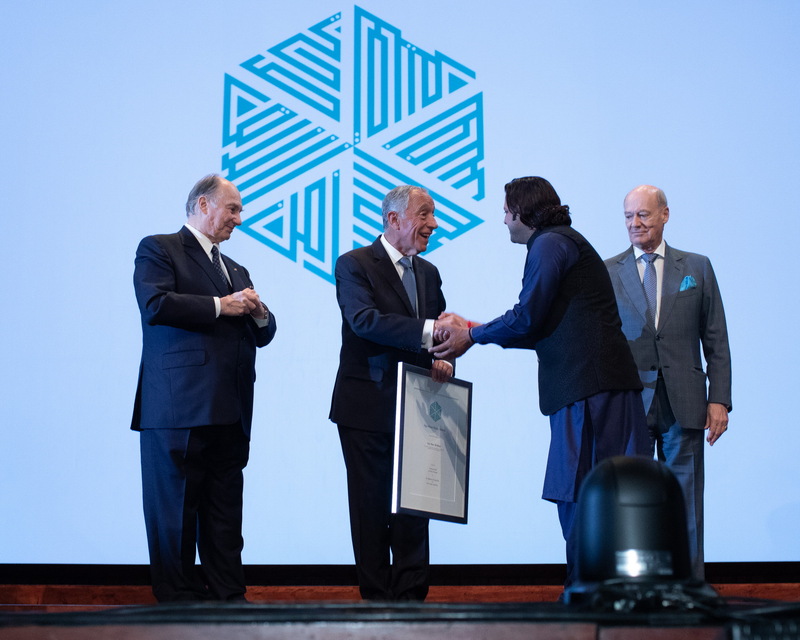 Asin Khan Langa, one of the finalists in the Performance domain, on stage with His Highness the Aga Khan, His Excellency, President of Portugal, Marcelo Rebelo de Sousa, and Prince Amyn Aga Khan. 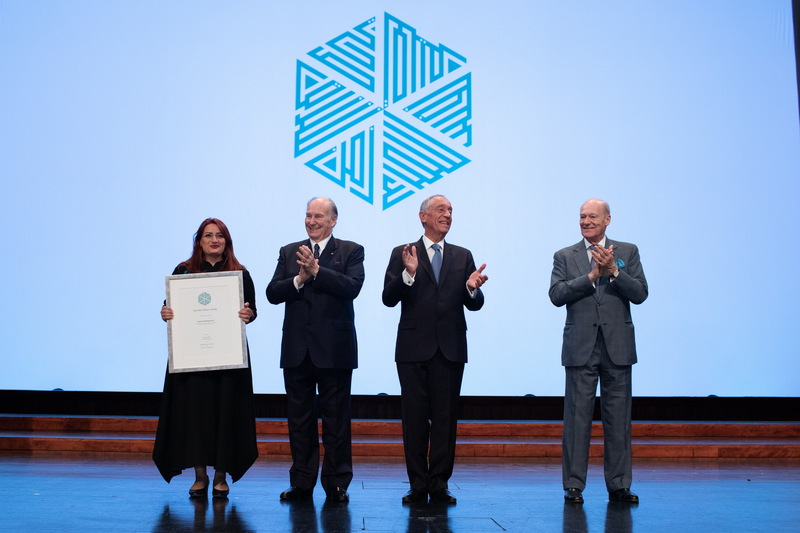 The finalist in the Performance domain, Abeer Nehme, on stage with His Highness the Aga Khan, His Excellency, President of Portugal, Marcelo Rebelo de Sousa, and Prince Amyn Aga Khan. 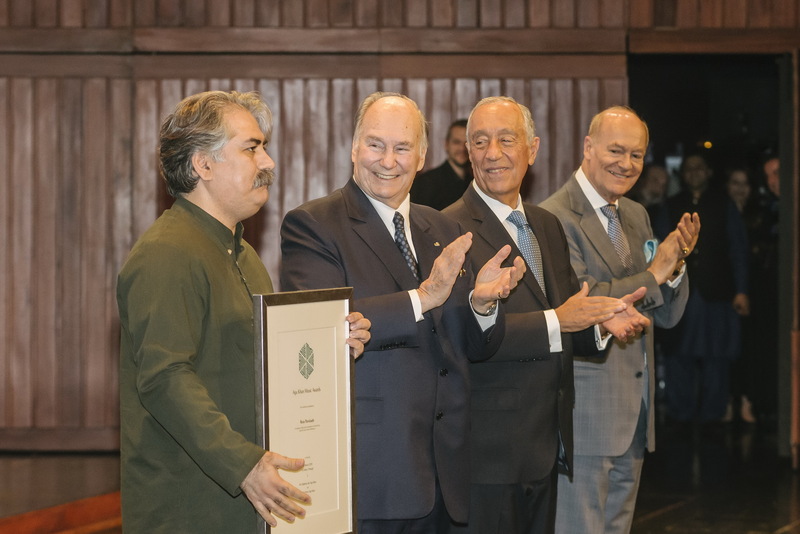 Mohamad Osman poses for a photo, as he is recognized as a finalist in the Performance domain at the Aga Khan Music Awards. 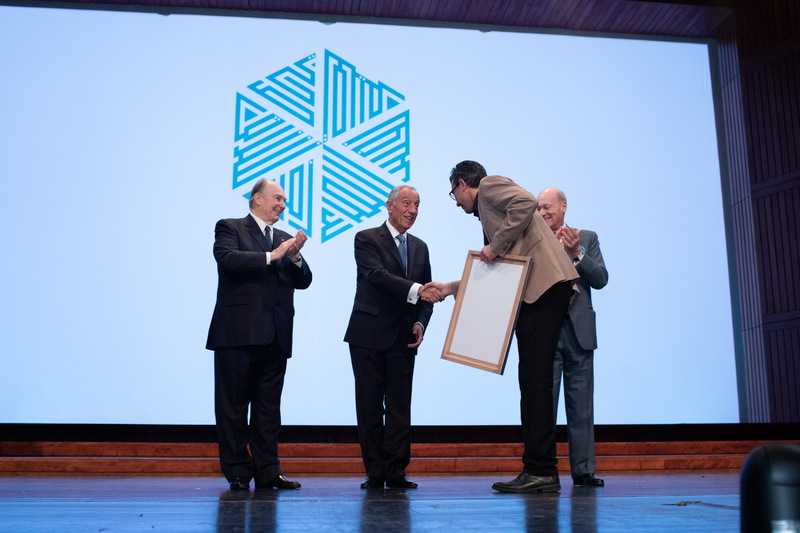 His Highness the Aga Khan congratulating one of the finalists in the Performance domain, Shahou Andalibi, along with His Excellency, President of Portugal, Marcelo Rebelo de Sousa. 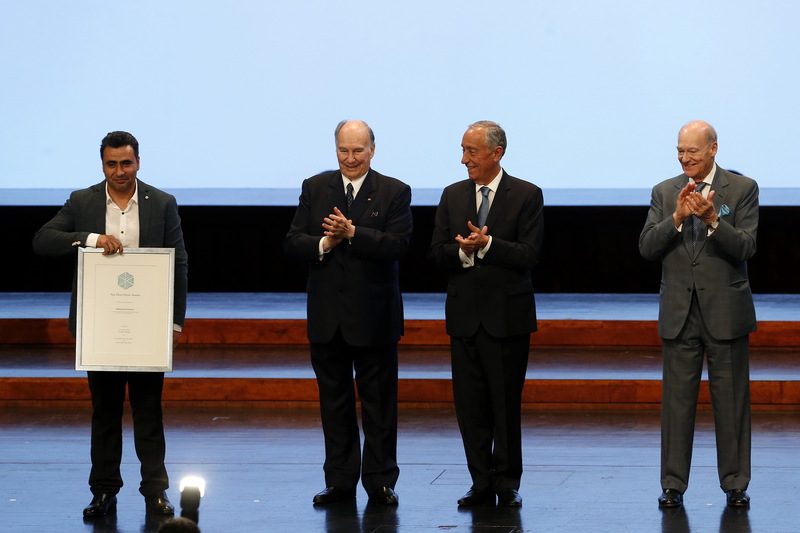 Iqbol Zavkibekov is recognized on behalf of the Gurminj Museum. 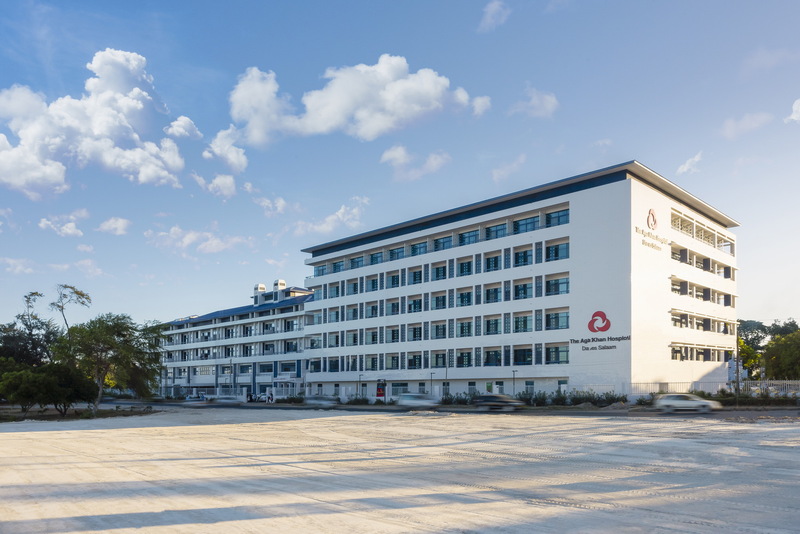 The museum was awarded as the laureate in the domain of Preservation, Revitalisation, and Dissemination. 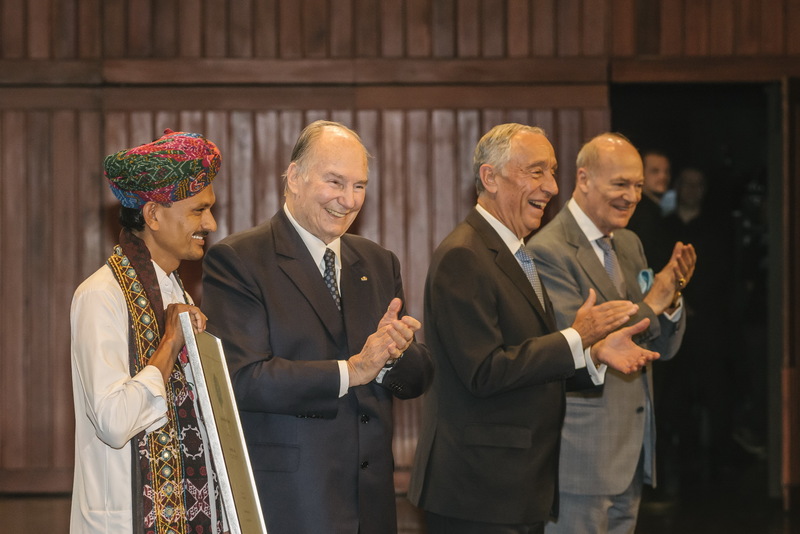 Sougata Roy Chowdhury, one of the finalists in the Performance category, on stage with with His Highness the Aga Khan, His Excellency, President of Portugal, Marcelo Rebelo de Sousa, and Prince Amyn Aga Khan. 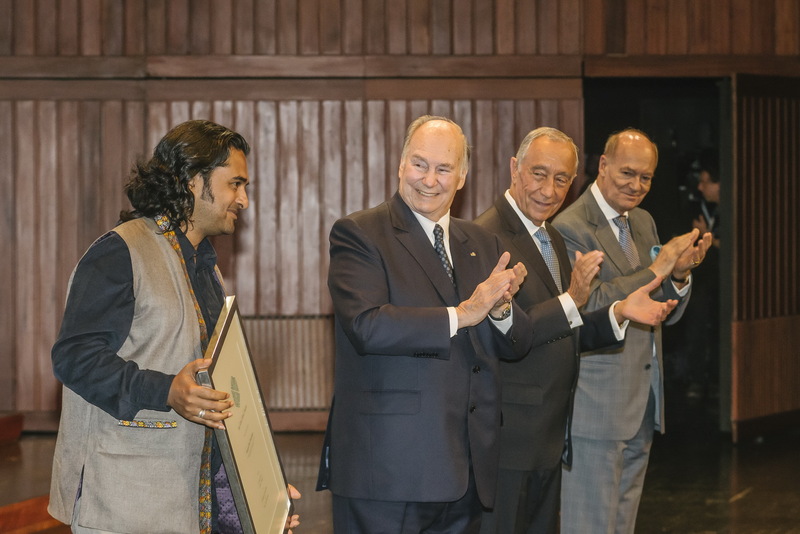 Ejaz Sher Ali Khan, finalist in the Performance domain, accepts his prize from His Excellency, President of Portugal, Marcelo Rebelo, with His Highness the Aga Khan and Prince Amyn Aga Khan looking on. 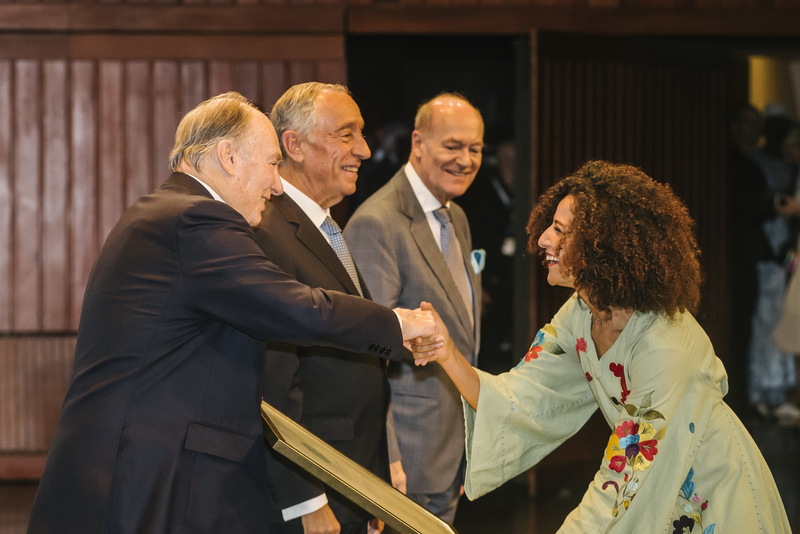 His Highness the Aga Khan congratulating one of the finalists in the Performance domain, Huda Asfour, along with His Excellency, President of Portugal, Marcelo Rebelo de Sousa and Prince Amyn Aga Khan. 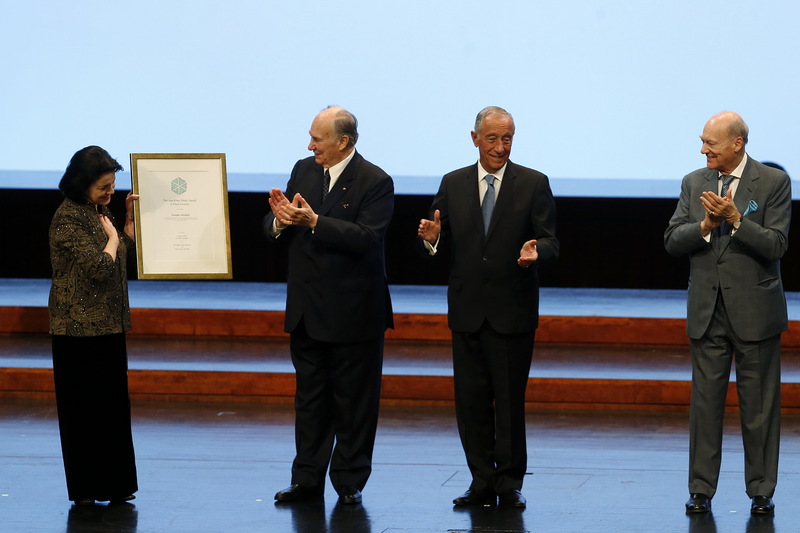 Ahmad Al Khatib is congratulated by His Excellency, President of Portugal, Marcelo Rebelo de Sousa, while HIs Highness the Aga Khan and Prince Amyn Aga Khan look on. 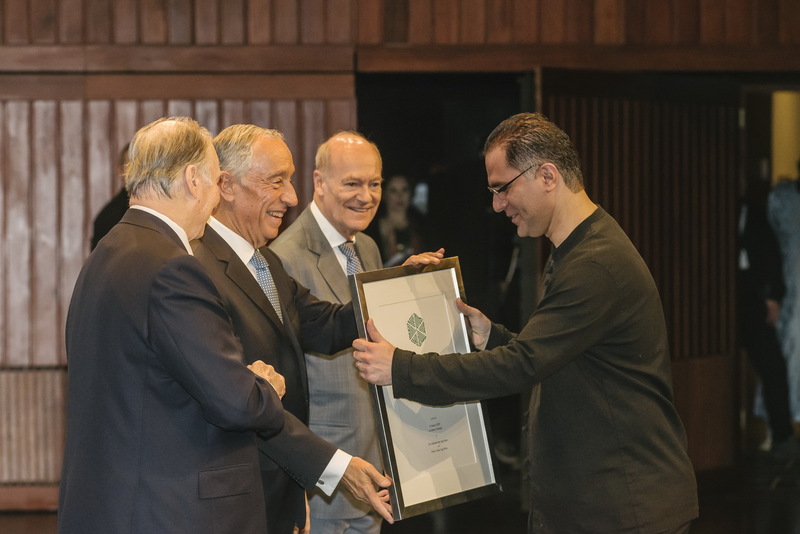 Arash Mohafez, finalist in the Performance domain, being recognized at the prize-giving ceremony by His Excellency, President of Portugal, Marcelo Rebelo de Sousa, as well as His Highness the Aga Khan, and Prince Amyn Aga Khan. 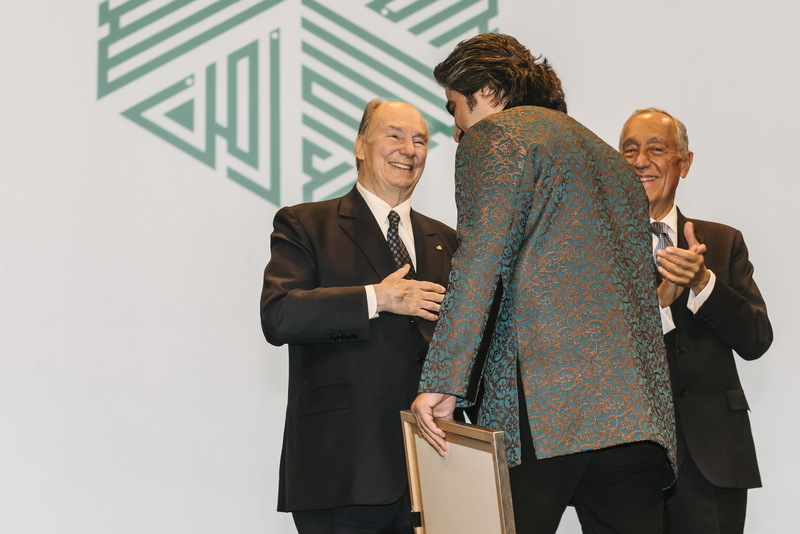 Burak Kaynarca, a finalist in the Performance domain, is cheered on by His Highness the Aga Khan, His Excellency, President of Portugal, Marcelo Rebelo, and Prince Amyn Aga Khan. 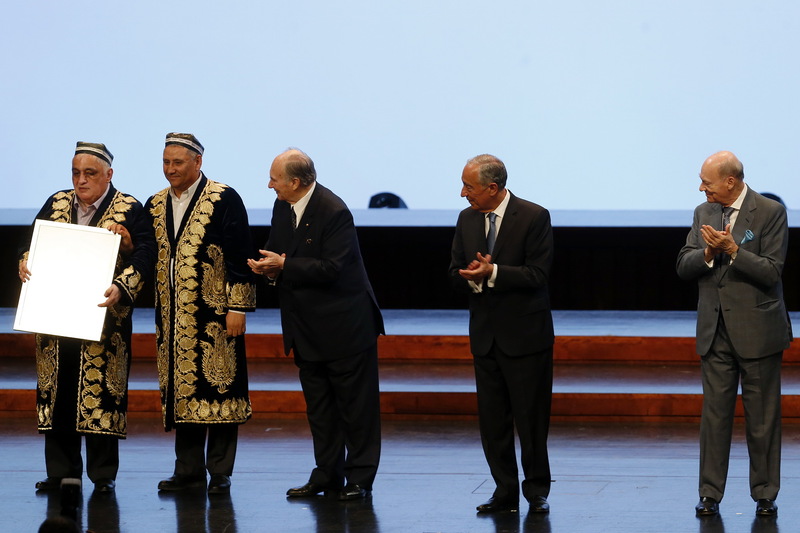 Reza Parvizade, a finalist in the Performance domain, poses for a photo as His Highness the Aga Khan, His Excellency, President of Portugal, Marcelo Rebelo de Sousa, and Prince Amyn Aga Khan look on. 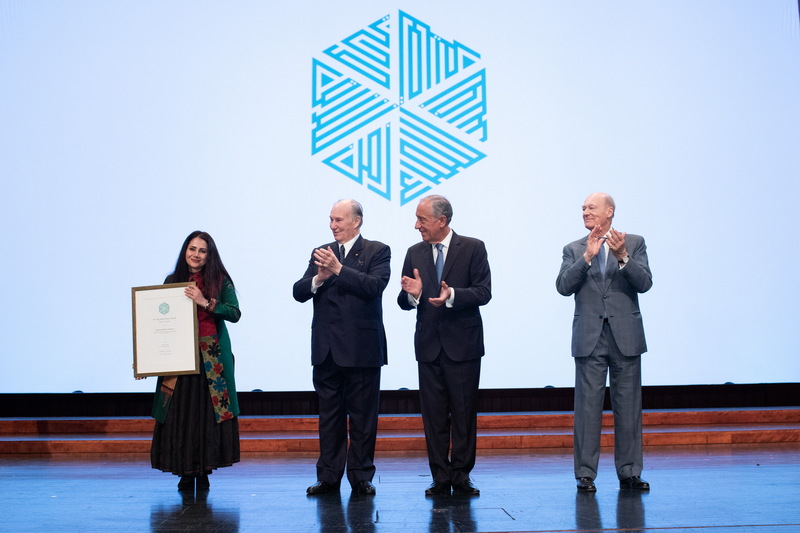 Nasim Siabishahrivar is recognized as a finalist in the Performance domain at the 2019 Aga Khan Music Awards. 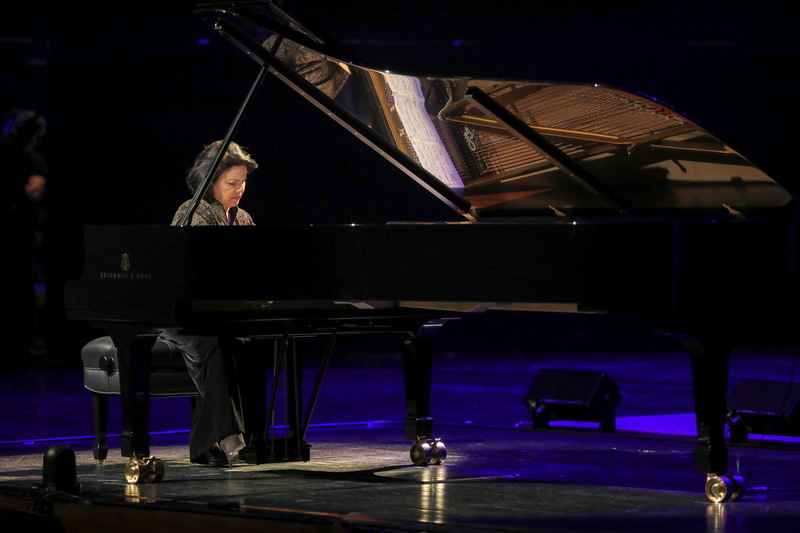 Artyom Kim is recognized at the Aga Khan Music Awards, representings Omnibus Ensemble, this year's laureate in the Education domain. 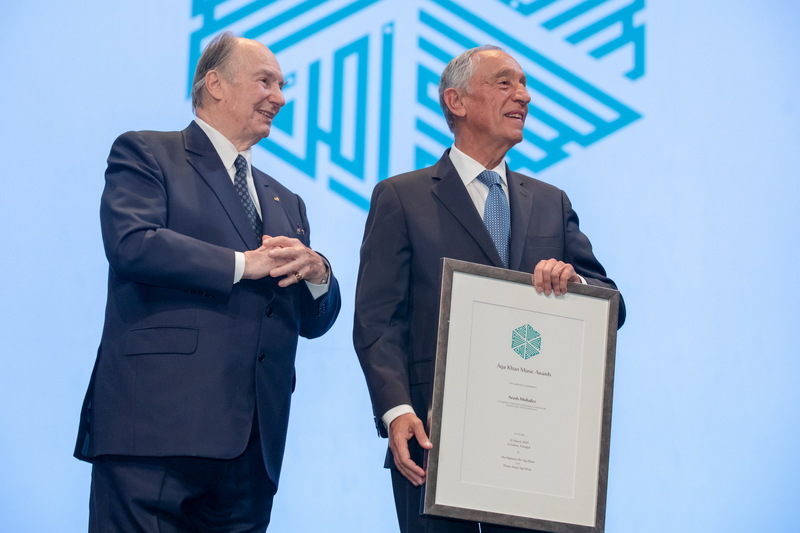 His Highness the Aga Khan and His Excellency, President of Portugal, Marcelo Rebelo at the inaugural Aga Khan Music Awards. 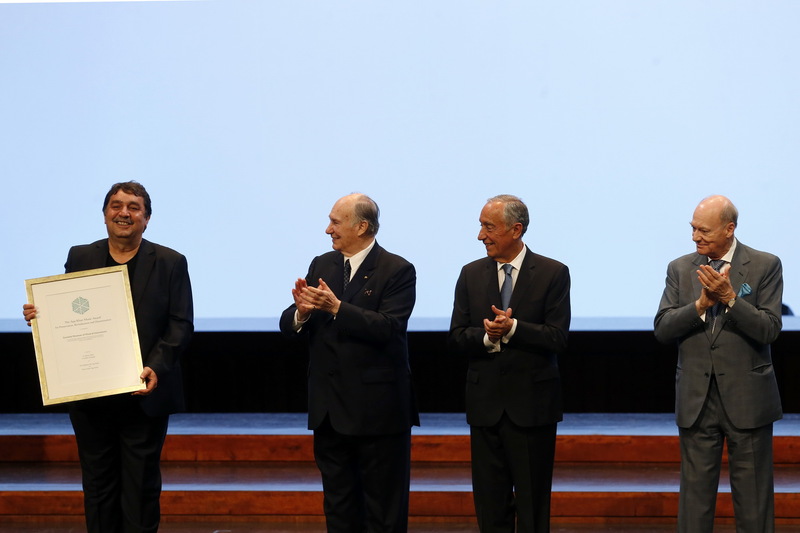 His Excellency President Marcelo Rebelo de Sousa makes remarks at the Prize-Giving ceremony of the inaugural Aga Khan Music Awards. 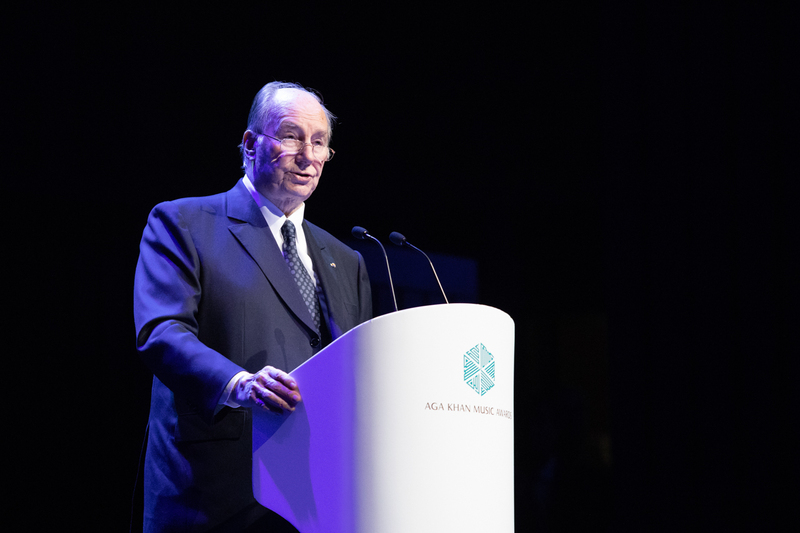 His Highness the Aga Khan addresses the inaugural Aga Khan Music Awards. 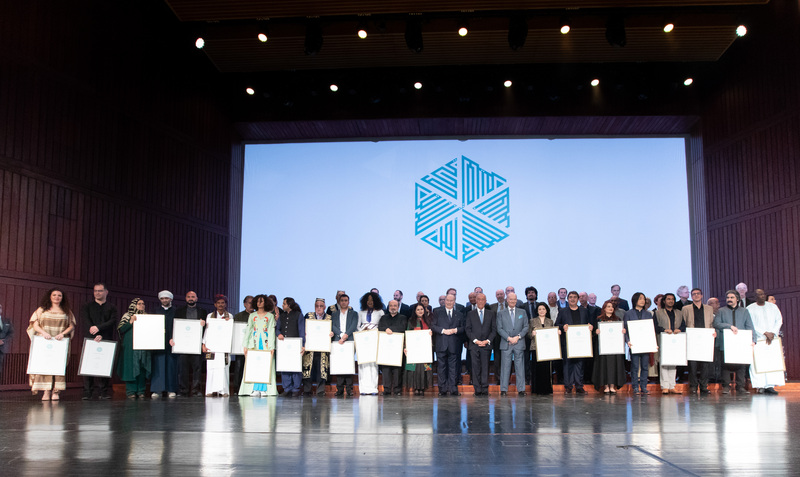 His Excellency President Marcelo Rebelo de Sousa, His Highness the Aga Khan, Prince Amyn Aga Khan, together with Laureates, Finalists, Steering Committee, Master Jury and Secretariat of the Aga Khan Music Awards 2019.